After a forced, unexpectedly long, hiatus we are back on the road; the road today being the A487 from Bangor to Fishguard which has already led us past our previous well at Llanfair-Is-Gaer. The wide sweep of the Llanllyfni bypass as it crosses the River Llyfnwy passes close to the site of Ffynnon Rhedyw, the one well in Wales dedicated to Saint Rhedyw; the authors of the Lives of the British Saints suggest that he should be more correctly named Gredfyw. He is said to have been a brother to other local saints Tegai, Llechid and Trillo. His church is some 300 yards to the north of the well, it was locked both times that I tried to visit but Hughes and North suggest that I missed little, writing that most of the earlier church was destroyed during restoration and reconstruction in the late eighteenth and nineteenth centuries. 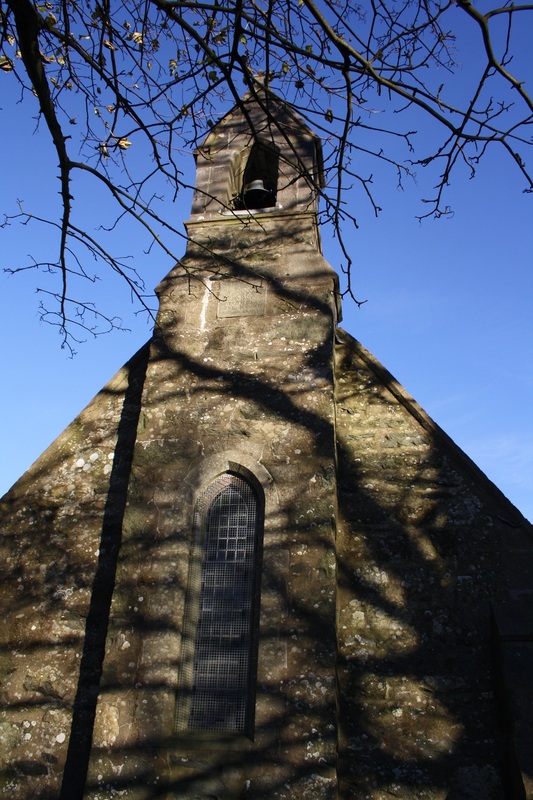 The earlier church contained a raised stone close to the altar known as Bedd Rhedyw, now apparently lost; while within the parish there was another stone, Eisteddfa Redyw, beside which the prints of both his horse’s hoof and his own thumb could be seen. All these remains show the power of the belief in St Gredfyw that there must once have been in the locality. Sadly, his well, like these other venerated sites, has survived similarly poorly. However this could have been so very different. In 2005 the Daily Post and the BBC News website carried a story covering plans to restore this “pagan well” as a tourist attraction. It was to be linked to the church by a new path and accompanied by a notice board providing information on the well’s background. These plans seem to have rumbled on for a few years, but evidently came to nothing. At this time I can only speculate on the reasons why – maybe it proved difficult to obtain access, maybe when investigated the remaining structure was not sufficient or too difficult to conserve, or maybe other projects took its place. It would be interesting to know, since lessons may be learned for similar projects. A description of the well’s remains from around 1920 is provided by Hughes and North. They saw a rectangular basin with two steps down on both the north western and south western sides. The remained evidence of an enclosing wall formed of stone slabs. 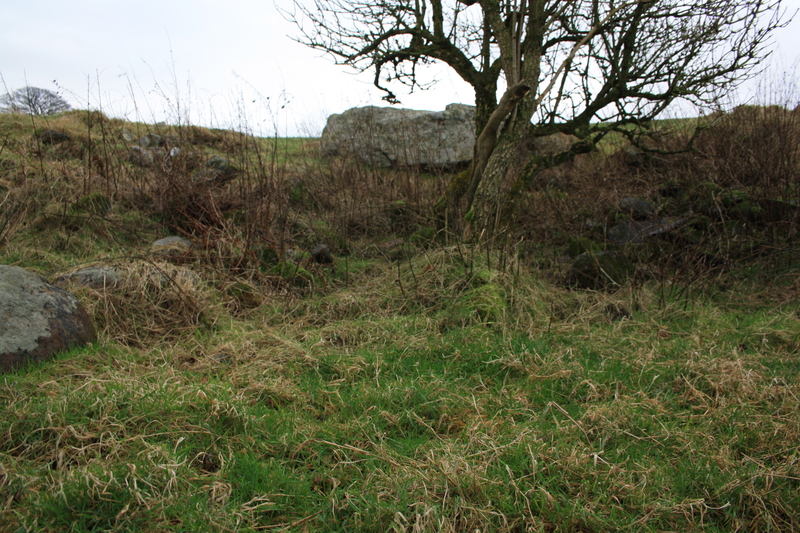 The enclosure was entered from the north west and the well within the enclosure was close to the entrance. 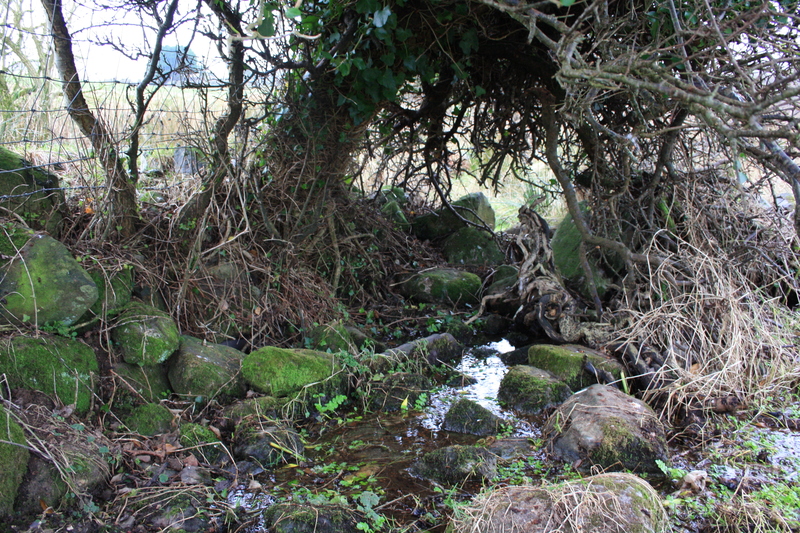 The mention of the well in Lives of the British Saints suggests that the enclosure may once have been a building. The report of the Royal Commission on Ancient Monuments visit in 1960 describes remains similar to those observed in 1920. Their description is of a rectangular basin two feet deep and eight feet wide by ten feet long to contain the water, with steps for access; the whole area being enclosed by the remains of a wall of boulders and slabs up to two feet thick. At this time they noted that the outflow had been adapted for the use of livestock. How long this survived in this form I have been unable to determine, though it’s degradation must have occurred within living memory for many people. The next account I have is drawn from an assessment made in 1993 in conjunction with the planning of the bypass. By this time it is clear that very little sign of the structures described 30 years earlier could be identified. Although one may speculate how much of the 1960 description was clearly visible and how much was conjecture based on earlier reports and evidence on the ground. I have not seen any pictures from 1960. 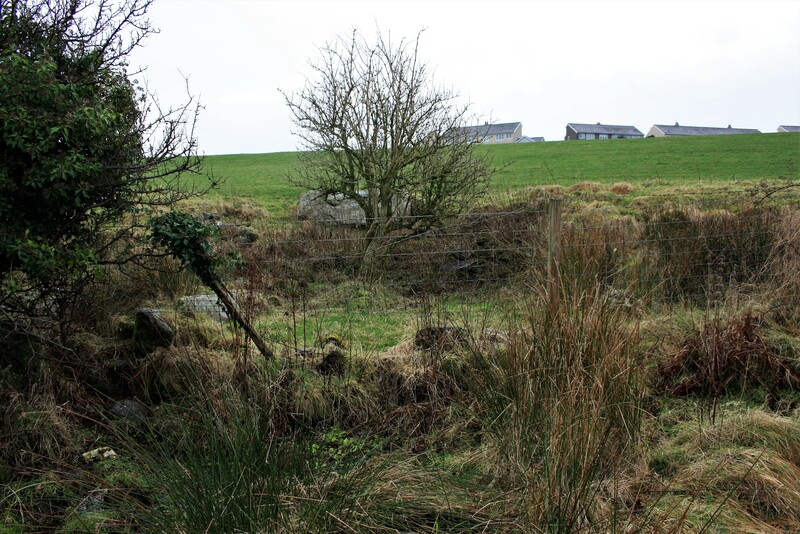 A site investigation in 2010 found a similar lack of evidence, although it had a somewhat positive conclusion that some structures may remain beneath the rubble, noting that the interior is very wet with around 0.2m of grass and water over a hard base. My visits show a similar lack of visible remains. 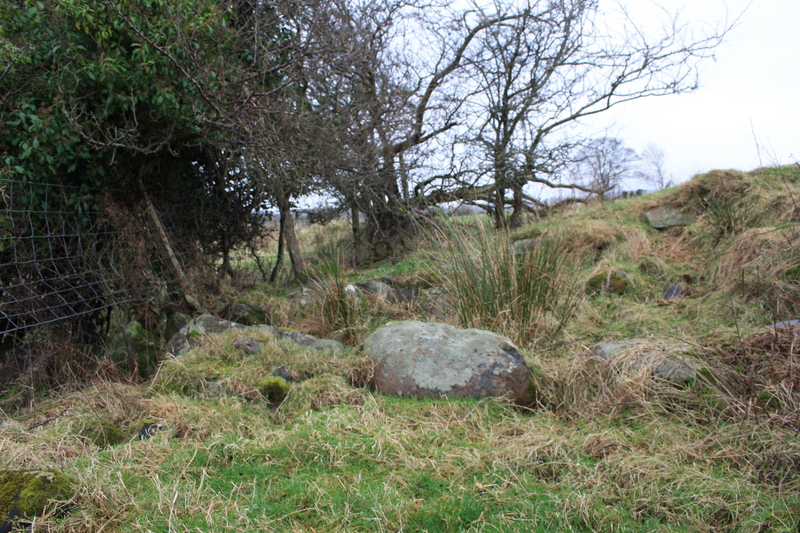 A rectangular depression in the landscape is still clearly evident and there remains a great volume of scattered loose stone which clearly must have once formed the structures. 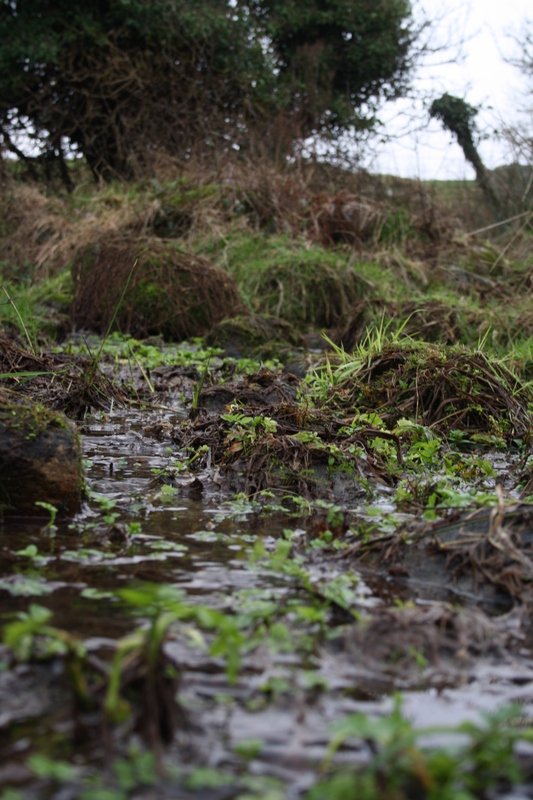 There is still one large rectangular slab set into the ground at the southern end of the enclosure, with the water, which was once collected and carried to the church for use in baptism, still rising and forming a strong stream at the northern end which flows down towards the river. So here we have another example of a substantial well structure fife timely obliterated within the last hundred years. It would be interesting to learn what happened to the rescue attempt, but I assume it came just too late to save the well.